My thanks to member ADP for finding this memorial on Google Street View. The 1:25,000 scale Ordnance Survey map at NJ 947 431 it shows a war memorial at Clochcan opposite a junction. In fact is across the road and to the East a little. 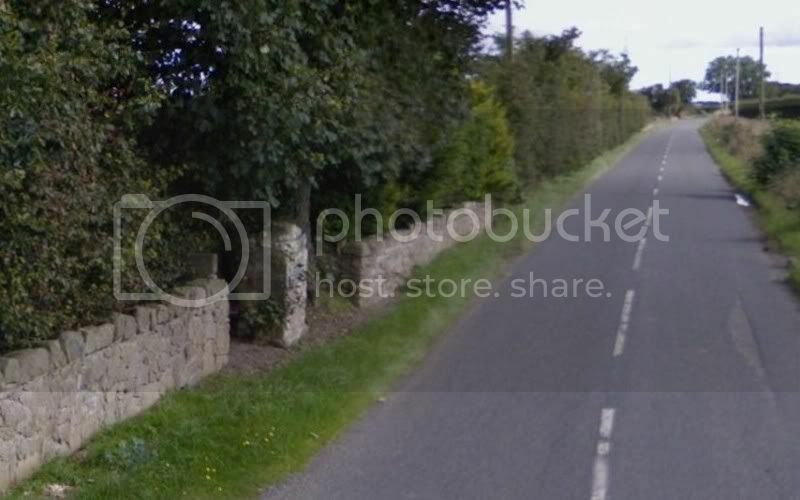 These images are taken from Google Maps Street View and are not very clear. 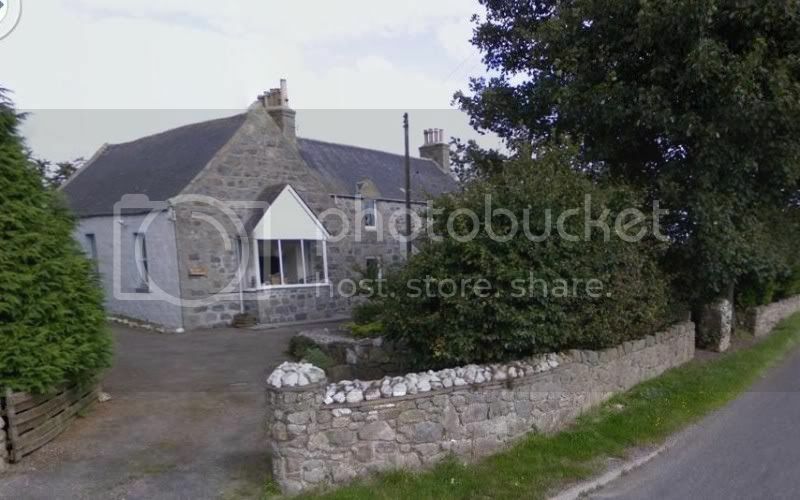 Clochan School was closed in 1957 and pupils went to Braeside School in Aughnagatt. 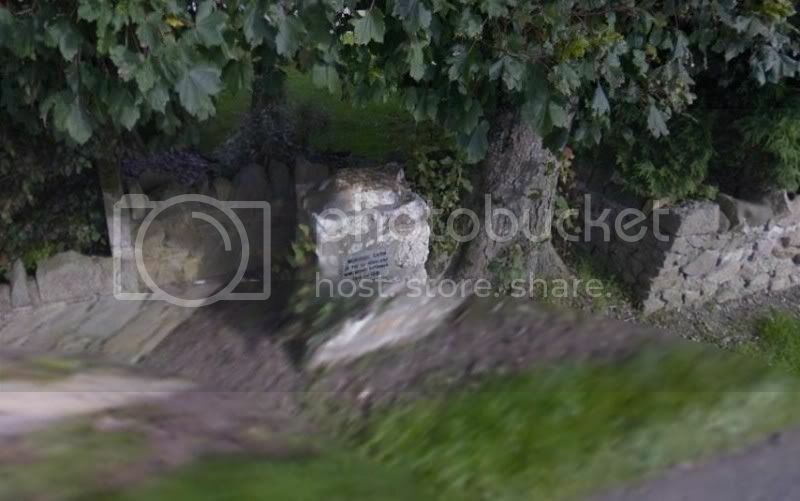 Google streetmap view of war memorial at Clochcan. Thanks to ADP for all his help on this one. You have altered the transcription from the one that I gave to make it make more sense. Have a look at the magnified image. Magnified image of the Clochcan School memorial. The second line does not start with TO. It looks like AT, or possibly BY. However neither of these makes grammatical sense. Any other offerings for the transcription? Here's hoping someone can get there and take a better photo of the memorial cairn. I had a close look before taking a snap-shot and it looked like 'TO' to me but having another look perhaps it could be a blurred 'FOR'. I'll amend the text above to ?? and we'll just have to wait and see what it actually says. Good thinking! I'll edit the post above.